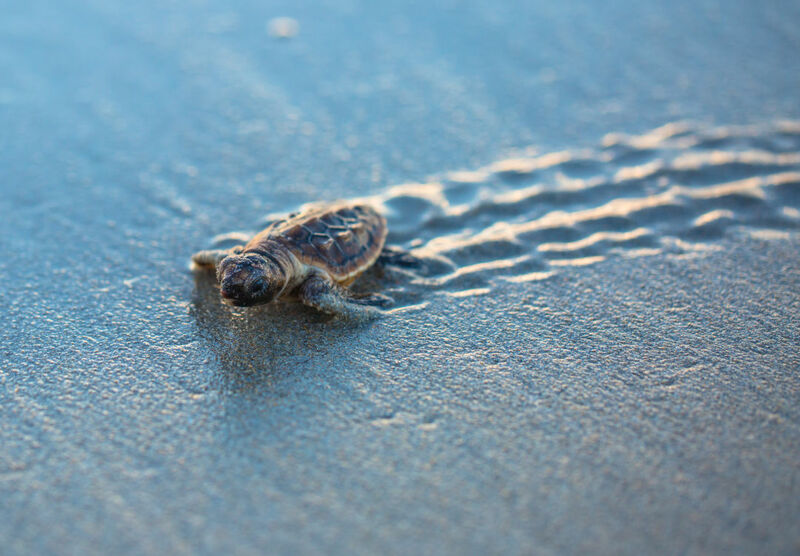 Eight sea turtle nests on south Siesta Key were harmed when a golf cart or ATV ran over them last Friday, Mote Marine Laboratory and Aquarium reports. 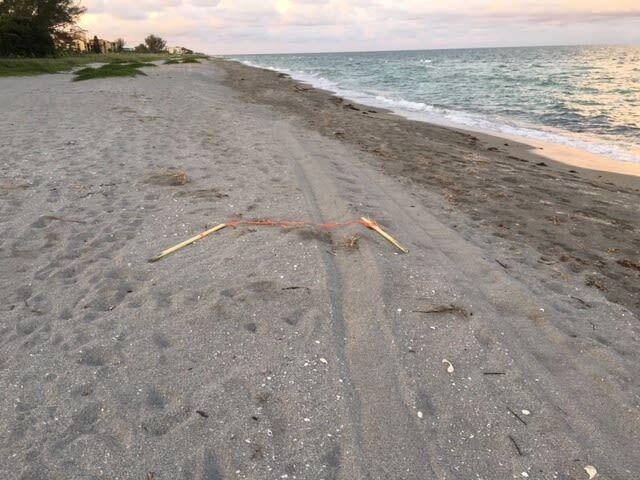 Mote’s Sea Turtle Patrol found the damage and tracks and says that the vehicle had dislodged stakes marking seven existing nests and driven across a newly laid, unmarked nest. The FWC conducted an initial investigation; however, due to lack of evidence, it was deemed inconclusive. A damaged sea turtle nest on south Siesta Key. Sea turtles are protected under federal and state laws, as well as local ordinances. Tampering with or harming sea turtles, their nests or eggs is illegal and can result in serious fines and even jail time. You can help protect sea turtles and their nests by staying informed about their nesting habits; turning off lights on the beach at night; removing your beach supplies and trash when you leave the beach; keeping a safe distance from sea turtles and their hatchlings; following boating guidelines; watching out for lost hatchlings; and reaching out to professionals—such as Mote's Sea Turtle Conservation and Research Program (941-388-4331) or Stranding Investigations Program (941-988-0212)—if you encounter a lost, sick or wounded sea turtle. For more information about protecting sea turtles, click here.